THEY say that if you put a chameleon on a tartan it will explode. Monday’s House of Commons announcement by Speaker Bercow saw chameleons combusting all over the place. The furore was over a ruling on Parliamentary procedure according to Erskine May: a motion may not be re-put to the House within the same session unless there has been a significant change to its substance. So the 12 March Meaningful Vote, which resulted in heavy defeat for the Government, couldn’t simply be put under MPs’ noses again like last night’s uneaten dinner. The Daily Mail, having switched abruptly from Leave to Remain with its change of editor last September, simply didn’t know what to make of it. ‘Smirk that says: Brexit be damned’ was the snarling headline in Tuesday’s print edition – as though Geordie Greig wants Brexit! 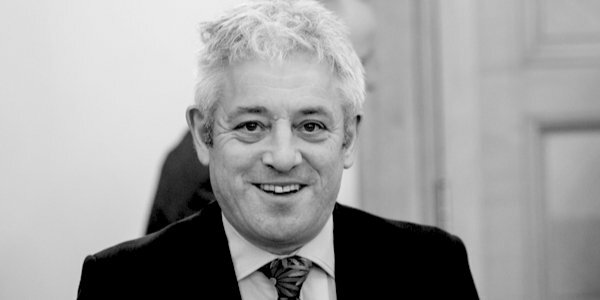 But Bercow’s face was quite smirk-free as he explained that the principle was to stop waste of Parliament’s time but also to respect its decisions. The fun came afterwards, in Points of Order. First to rise was Sir Peter Bottomley, a Remainer who had helped drag Bercow to the Speaker’s chair in 2009 but last year was ready to haul him back off. He quibbled over the Speaker’s uses of ‘may’ and ‘must’, additionally citing an obscure precedent (did he have a smartphone to hand?) to suggest that a mere change in the Bill’s title would suffice. The Speaker hoped he had always treated Sir Peter with ‘the utmost respect’ but confessed himself ‘foxed and befuddled’ by the suggestion of self-contradiction. Boom! went the chain shot, down went the mainmast. Sir William Cash wondered whether the original ruling in 1604 was connected with the subsequent Gunpowder Plot. The disciplined mouth of Rees-Mogg, J. twitched. Shortly afterwards JRM, himself no stranger to irony, praised the Speaker as a ‘repentant sinner’ in deciding to follow precedent, and pointed out that the motion could be brought back in a new session. Bercow damned him with emphatic praise for using his ‘extraordinary sophistication’ and ‘very large supply of common sense’. The Speaker knows how to make friends on all sides. Anna Soubry lamented the consequences of not seeking ‘consensus and compromise from the beginning’. More to the point, I feel, would have been much clearer leadership – what if, in 2016, Cameron/May had called on all people in this country, their political representatives, the news media and others to understand and accept that the nation’s Referendum decision was collective, clear, binding and final? Meanwhile the country speculates on the true motives of the Speaker and an assortment of MPs in all the needless complexities of argument. Within a few days, we may see their true colours. Rolf Norfolk is a former teacher and retired independent financial adviser.